Bullying nets Wal-Mart punitive damages in Ontario wrongful dismissal case. Injury Resources > Personal Injury Blog > Bullying nets Wal-Mart punitive damages in Ontario wrongful dismissal case. The Ontario Court of Appeal recently gave reasons on a wrongful dismissal claim brought against Wal-Mart. The plaintiff, an assistant manager, had essentially been bullied into quitting. A jury heard the trial and awarded $1,000,000 in punitive damages and hundreds of thousands in aggravated damages and damages for intentional infliction of mental suffering. 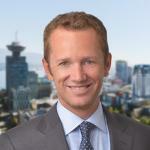 The jury’s award of $100,000 [for intentional infliction of mental suffering] is undoubtedly high – according to counsel for Pinnock, substantially higher than any other award against an individual employee in a breach of employment contract case. That it is so high does not mean that it is so plainly unreasonable it should be set aside. To state the obvious, there is no precedent until it is done for the first time. The jury’s awards of $800,000 for punitive damages in Hill v. Church of Scientology of Toronto, 1995 CanLII 59 (SCC),  2 S.C.R. 1130 and later of $1,000,000 for punitive damages in Whiten v. Pilot Insurance Co., 2002 SCC 18 (CanLII), 2002 SCC 18,  1 S.C.R. 595 were unprecedented at the time. Yet both awards were upheld by the Supreme Court of Canada, even though appellate courts have greater latitude to intervene in punitive damage awards than they do in ordinary tort awards.